… and why not combine with the offer below to make a real saving!? Treat your hens and buy yourself a little something while you’re at it, with free delivery on orders over £30. Now that’ll have you singing in the rain! Both offers apply in the UK only. Free Delivery offer excludes feed, grit & bedding. 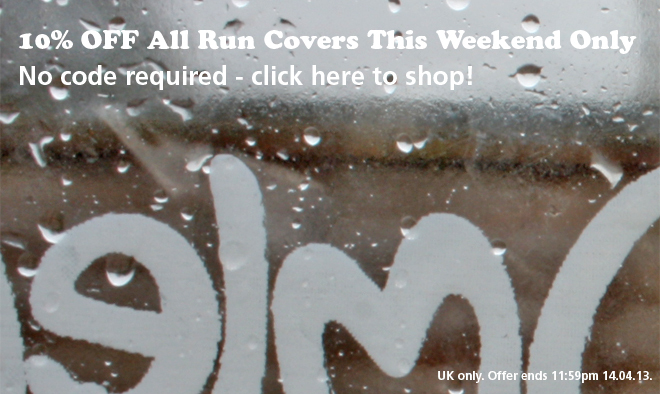 10% off Covers ends 11:59pm 14.04.13. Free Delivery ends 11:59pm 26.04.13.